Kings Cross Station is the departure point for students of Hogwarts School of Witchcraft and Wizardry, of which it’s most famous student, Harry Potter, attends. The Hogwarts Express departs from Platform 9 3/4’s in September. Unfortunately, Muggles can only use platform’s 9 and 10. Interestingly, platforms 9 and 10 at Kings Cross Station are not adjacent to one another, so they don;t have an adjoining wall separating them, instead it’s the railway line separating them. When J K Rowling was quizzed about why she choose platform 9 and 10 in Kings Cross Station, she said that she was thinking of Euston Station instead and mixed them up. However, Euston Station has the same problem, and railway track between the two platforms. To overcome the numbering problem, platforms 4 & 5 were renumbered in Kings Cross Station during shooting of Harry Potter and The Chamber of Secrets. 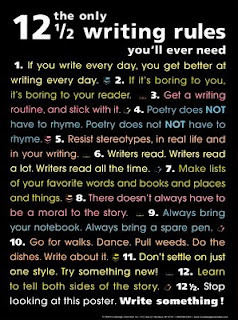 I like #6 and #12 1/2... What about you?? What or who is she looking for? Product DescriptionA mother's day is filled with all kinds of emergencies, from bumps and bruises to hospital stays. Find the perfect way to recover from your own family's little emergencies with Jane Isfeld Still's latest book on the hilarious daily challenges of a mother in the fray. You're sure to laugh and cry as you celebrate the joys of motherhood. Depth of Deceit by Betty Briggs TOUR & GIVEAWAY! SPRING! I couldn't help posting this; isn't it beautiful? to turn the faucet on before the water starts to flow." "...it is always good to look at rejection letters with a fair bit of suspicion. Because they are incapable of telling the whole story, and the part they tell isn't always completely accurate, trying to discern your next course of action from them is often a fool's errand. " 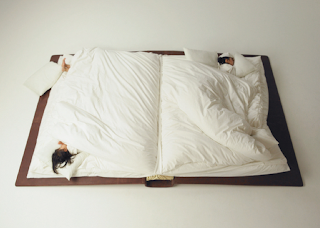 Would you love this bed? Cute!